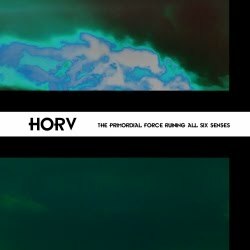 Experimental Abstract Ambient from Poland. Project by Marian Mariański. From the artist: Raindrops. Solitude. Rage. Little hopes. Rust. Old dusty things. Discoloured photos. Unwanted things. Dark Ambient act for fans of Atrium Carceri, Raison D'etre, Lustmord etc. 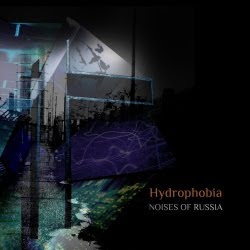 In our new program HYDROPHOBIA we continue investigations into the stereotypes of perception. If our latest program INVISIBILITY AND LABOUR was dedicated to the full disintegration of personality under the social pressure which is mechanizing all the life processes, the program HYDROPHOBIA materializes the response of individuum to the social aggression. The object dissection is mechanism of manifestation so-called forbidden emotions such as mystical joy, inexplicable sorrow, in-depth horror, catharsis which are opposed to the legalized feelings of cleanness, sterility, health, happy unconscious alcohol intoxication, enjoyment of material comforts. 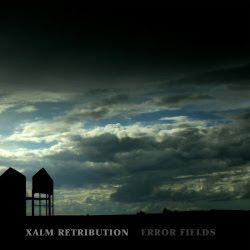 Xalm Retribution |real name Sergey Pakhomov| was born in Novosibirsk, Russia in 1986. the first experience in writing music came in 2004 in a variety of dance styles. in the period from 2005 to 2006 were recorded the first tracks in ambient style. the accumulated huge amount of music material were out in first dark ambient release in 2009. each album of project is own idea, the story of any events or the expression of feelings through music. Industrial passages, trips in caves and ceremonial events of different folks - all this can be found in music of Xalm Retribution. Horv is a one-man experimental project from Poland. The album is a background for what a solitaire mind can offer from it`s deeps n depths. From ambient and psychedelic to industrial noise and everything that is between.